This site exists to help you obtain an UAE Legalisation for Fit note (from a doctor) as quickly and as easily as possible. Require a UAE attestation of a Fit note (from a doctor) ? We can legalise a Fit note (from a doctor) for use in the UAE. It is necessary for Fit note (from a doctor) to be legalised by UAE apostille for work, business, personal issues or for a legal requirement. The Apostille Certificate is normally requested by UAE authorities and organisations so that the Fit note (from a doctor) can be used for official purposes in the UAE. It is also referred to as legalisation. 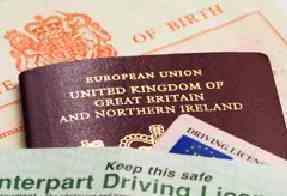 The United Arab Emirates (UAE) will usually require the Fit note (from a doctor) that have been issued in the UK to be attested before they can be used in the UAE. This is a 2 step process which requires the addition of an UK Apostille Stamp, and then a consular attestation of a UAE Apostille Stamp. The most common documents that require a UAE legalisation are Birth, Marriage & Death certificates, Educational Qualifications, and Company Registration documents.